Uses GLONASS (Global Navigation System Satellite) and GPS satellites. Small, covert black box with Internal Aerial Technology - GPS - GPRS - GSM - LBS. Free Global Telemetrics Android / Apple app. Monitored 24 hours a day with Stolen Vehicle Recovery (SVR Guard and Recovery) in the UK. Three year warranty, plus no quibble parts and labour warranty (extendable to 12 years). Thatcham-approved CAT 6 / S7. Cars, vans, leisure vehicles (including motorhome trackers), plant and machinery, HGVs, boats, motorbikes, quadbikes and more. 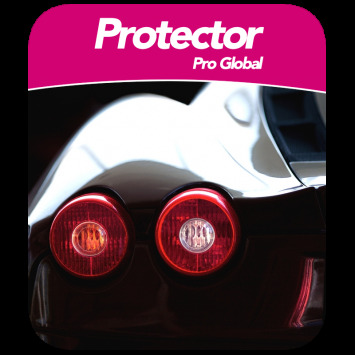 The SmartTrack Protector Pro Global uses the latest in tracking device technology. A GSM/Satellite connectivity without external aerials makes the device much easier to hide in your vehicle, and therefore, much less likely to be spotted and tampered with.This device can be tracked worldwide, and is insurance-approved to Thatcham Category 6 / S7 for all vehicle types. If, god forbid, your vehicle is stolen, SmarTrack will establish the exact location of the stolen vehicle using GPS technology and highly detailed mapping screens. It will then liaise with the police, security and recovery services on your behalf, sending out regular location updates as necessary until your vehicle is located and recovered. Why Choose a SmarTrack Protector Pro Global Car Tracker? Unlike some other vehicle tracking device brands, SmarTrack Protector Pro Global can be transferred from one vehicle to another. This must be carried out by a SmarTrack approved engineer. This product has been designed and manufactured in Britain for SmarTrack and has acheived e-mark and Thatcham TQA453 / S7 status. 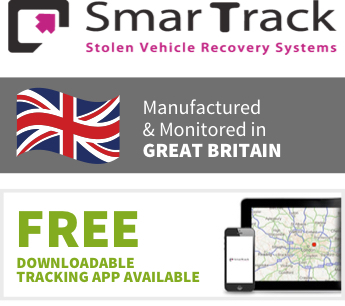 The SmarTrack Protector Pro Global is an ideal tracking system for cars, vans, motorhomes, HGVs, classic cars and high value vehicles. The tracker has internal aerials for higher security, and a IP67 waterproof casing for extra protection. This system is covertly fitted by our SmarTrack-approved installers, who are located throughout the UK. The DRS acts as a key protection device that can be fitted to any of our Stolen Vehicle Tracking Devices. It disarms the tracking device alert side when the proximity tag is within the area of the vehicle. If the tag is not with you when driving, the Global Telemetrics Control Centre will call to confirm the vehicle is safe. Yearly subscription: £149 inc. VAT. 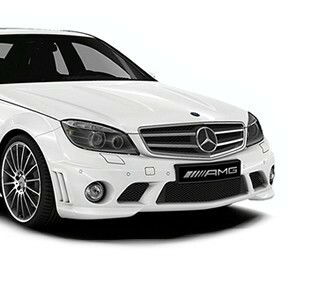 or Duration of ownership: £399 inc. VAT. Stolen Vehicle: £12.49 inc. VAT per month. The minimum term will be 12 months, and the first month’s payment will need to be paid upfront to Smartrack, once the device is fitted. Any Questions about the SmarTrack Protector Pro Global?